Hanoi (VNS/VNA) - The Ministry of Finance has proposed cutting corporate income tax (CIT) rates on small and micro businesses from the current 20 percent to 15-17 percent. The ministry said that SMEs played a significant role in the country’s socio-economic development and were recognised to be the driver for economic growth, citing statistics that Vietnam had more than 600,000 firms, nearly 500,000 of them were private firms with 96 percent of being small and micro scales. The private firms created 1.2 million jobs and contributed more than 40 percent of gross domestic product (GDP). China uses a 5 percent, 10 percent and 20 percent CIT rates for different levels of taxable incomes of SMEs, while Thailand has rates of 15 percent and even tax exemptions for SMEs. 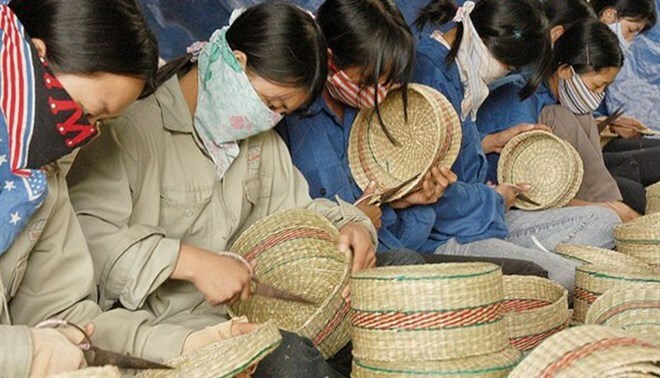 In Vietnam, SMEs must pay CIT rate of 20 percent, the same as other enterprises, prompting the need for “reasonably CIT rates for SMEs”, the ministry said. In the draft resolution, the finance ministry proposed a CIT tax rate of 17 percent on small businesses and 15 percent on micro businesses. Small businesses would be those with annual revenue from 3 billion VND to 50 billion VND and less than 100 regular employees while micro businesses would be those with an annual revenue of less than 3 billion VND and less than 10 regular employees. The ministry estimated that if these tax policies were applied, the State budget would lose a sum of about 9.2 billion VND per year in tax revenue.